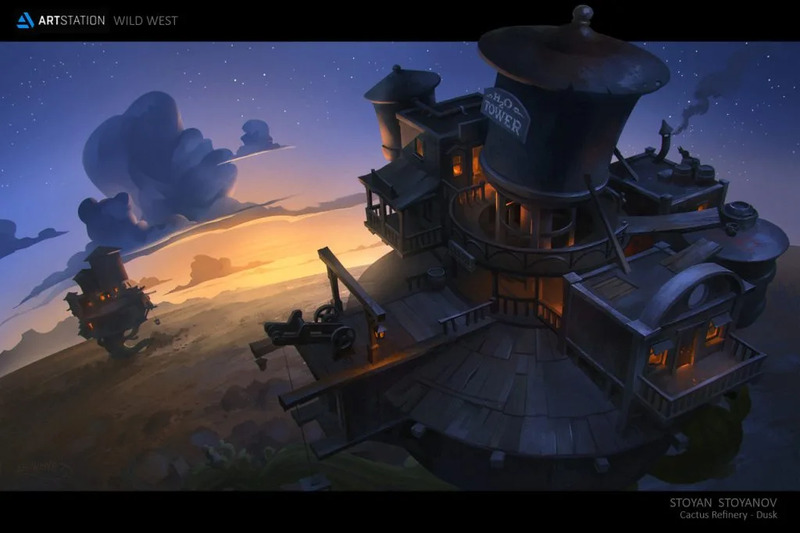 In the latest challenge, participants from the Environment Design category were asked to create two rendered environments in within the theme of the Wild West. With challengers given the option to also incorporate other genres as long as it still fits within the world of the Old West, the range of entries was both interesting and inspired. 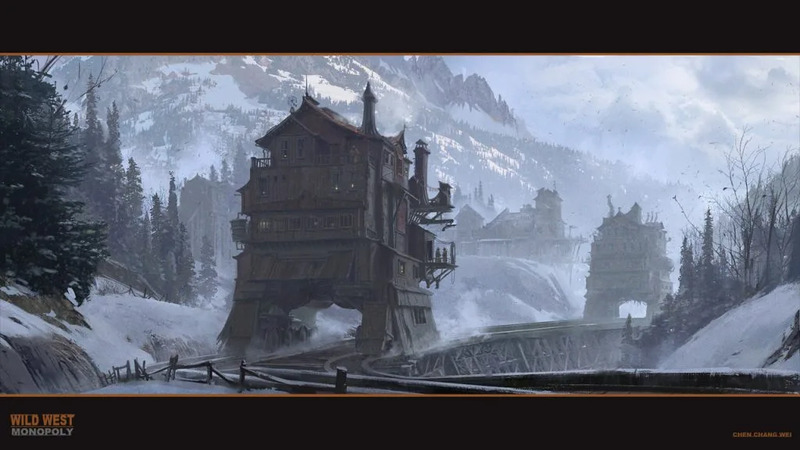 Browse all Environment Design entries from the Wild West Challenge. In this interview, the winners (Chang-Wei Chen, Stoyan Stoyanov and Dave Jones) share their process, experience and valuable learning takeaways. Tell us about how you built your idea for the environment you created. Chang-Wei: I love the idea of Howl’s Moving Castle from Miyazaki’s film so I planned to do moving houses and towns in this challenge. Also, I really like the moody and cinematic scenes in the movie so I tried to do something similar this time. 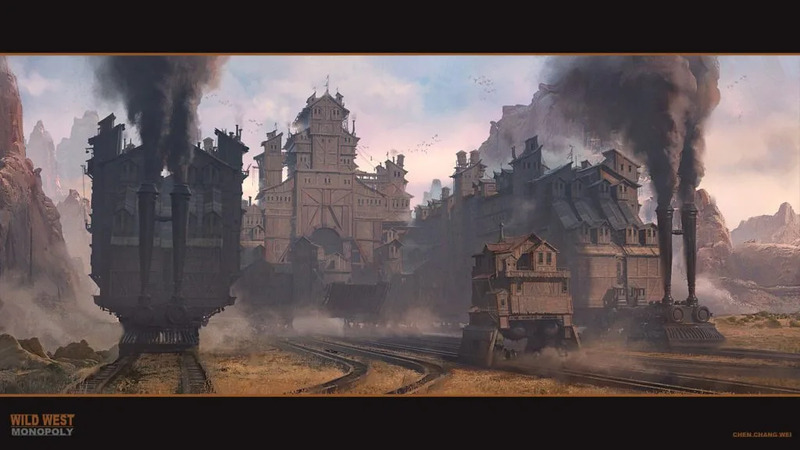 Stoyan: Joining the challenge for the Wild West Contest was an opportunity to refresh myself and work on more stylized sketches after devoting quite a lot of time on a personal project of mine – Dragun Armada, which is a dark and dangerous post-apocalyptic world. For this challenge, I wanted to find an interesting way to integrate two of the typical elements – a building in the architecture style of the Wild West and a desert plant. In the first night of the contest, I drew up some ideas and just before I dropped with exhaustion and had to go to sleep, I came up with this idea that I thought would be fun to develop. Dave: I took inspiration from two main sources. Firstly for personal work, I always like to create a brief for an imaginary game/movie, so I decided I wanted to do it based on a point and click detective game. I had been thinking about the kind of games I played when I was younger that we don’t see as often these days, like the point and click adventure Blade Runner from Westwood Studios. Mixing the Wild West theme with a film noir detective theme sounded pretty awesome and lots of images came to mind. In the Blade Runner game, the basic format was to go a crime scene, pick up clues and interview people, then go back to your apartment and analyze the clues/images in the Esper Machine. It stands to reason anyone who had the ability to analyze clues in the Wild West would need a lot of knowledge and know how, so I concluded it must be a scientist – and this would give me the opportunity to add a bit of Sci-Fi. Secondly, I had recently been watching the series Godless and was inspired by the look and mood of the show, it has a kind of eerie bleakness to it. Chang-Wei: I started with figuring out an interesting background story which needs specific designs. Then I do a lot of sketches to figure out those design and other elements in my scene. Line drawing helps me a lot to clarify my idea in this stage. When I felt my idea is clear enough, I moved on to the finishing stage (3D, photo, painting). Dave: My strategy was to create two environment spaces that would support two types of gameplay, an exploration environment, and a thinking and analysis environment. For the exploration environment, I settled on an abandoned town since it would make for an environment with a lot of unanswered questions. I started with mood sketches in black and white because I really wanted to capture the atmosphere. I then proceeded to design the buildings in the town, adding what might be left of some obscure cult to broken husks of homes and dilapidated storefronts. 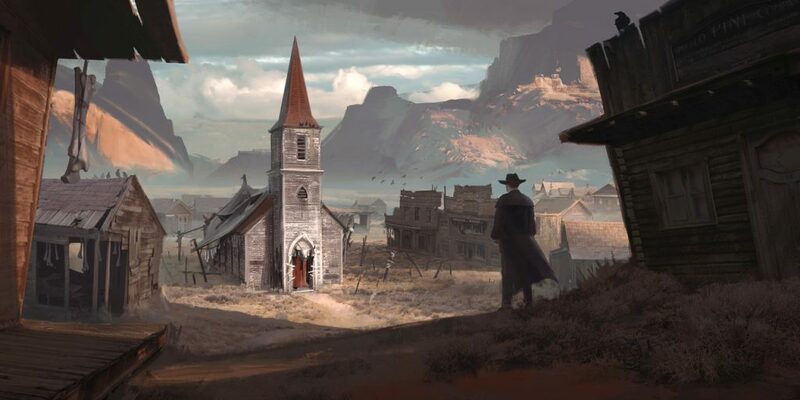 I started with a barn and a saloon as the hero building in the environment, but as the idea of a cult or maybe something occult became more prominent in the designs I thought a bedevilled church would symbolize a much greater corruption, a more harrowing fate for the towns wholesome residents. For the analysis environment I had the idea of the lab in mind from the start and so it didn’t need as much exploration. I listed all the different kinds of things you might find in a lab and realized it would need a centrepiece to make it come alive. I wanted to create something maybe Emmet Brown from back to the future might have been able to create, some kind of steam-powered basic computer. I spent some time problem solving the layout of the room in 3D and then injected some of the mood from Godless. Once I had the lighting down it seemed to fall into place a little easier. It should look lived in, and of modest means. t was just a case of putting all the pieces together. Chang-Wei: I think the most difficult part for me is figuring out an unique idea to start. There are many great works about this theme already so I wanted to do something different. I spent my first week just writing down ideas and making decisions. Stoyan: The most difficult part of the project was not to change the theme too much throughout the duration of the project. Sometimes, when I work on a project for a long time, I develop the initial idea into new creative extensions but this time changing too much could have meant serious consequences. Dave: Most of my experience is with Sci-Fi, the reason that I wanted to take part was that I love the Wild West and I wanted to learn how to get that Western look. I struggled a lot with trying to make it not look like a horror game, and not look like a British Victorian lab. Luckily, I have some good friends that threw me some good ideas, and a great girlfriend that’s always good at giving me feedback. Chang-Wei: I like the entries from Connor Sheehan, Yi Lo and Luke Hinchley. Stoyan: I really like moving castles and I was impressed by the work of Chang-Wei Chen. I was happy for him winning the category. There were so many interesting entries for the challenge in all categories – good job everyone! Dave: There were a lot of great entries that it’s hard to choose but one of my favourites would be Connor Sheenan’s – I loved his Totem windmill design and the painting had a beautiful mood to it. I also loved Chang-Wei Chen’s work – the exploration was phenomenal! 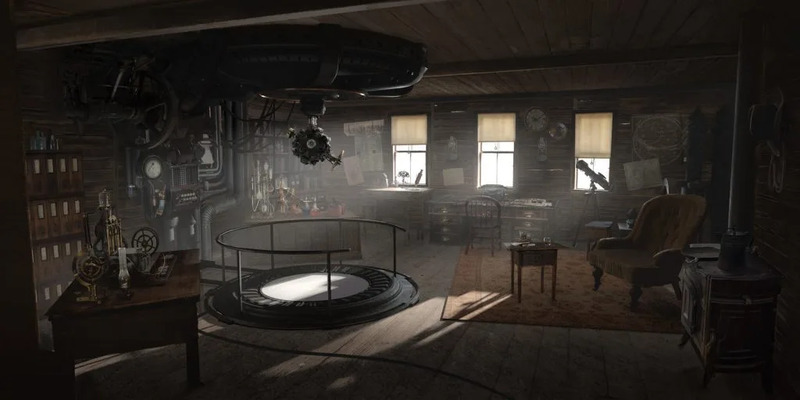 I was blown away by Maxim Dorokhov‘s version of the Lab in the Game Environment category. It was really awesome to see how much work he put into it and he really captured the mood I was going for. Chang-Wei: I learned about how to time management and planning before starting to work this time. We all had a limited amount of time for this challenge so I tried to make sure I’m constantly making progress so that I wouldn’t miss the deadline. Stoyan: This is my first time taking part in this kind of competition and it was very interesting to be a part of it rather than just watching other people’s achievements. Taking part in the challenge is the best way to refine and improve one’s skills and competences, which makes the effort worth it. Dave: What I enjoyed most about the challenge was pushing myself to try and keep up with the competition. Quite often working freelance you are by yourself, and you don’t always see what other people bring to the table. It was really good to see what approaches other artists were taking so I could get an idea of where I was lacking or I needed to improve, and maybe ideas which I would have never thought of by myself. The feedback from the community was the most valuable experience I got from the Challenge. It definitely makes me want to take part in the next one! 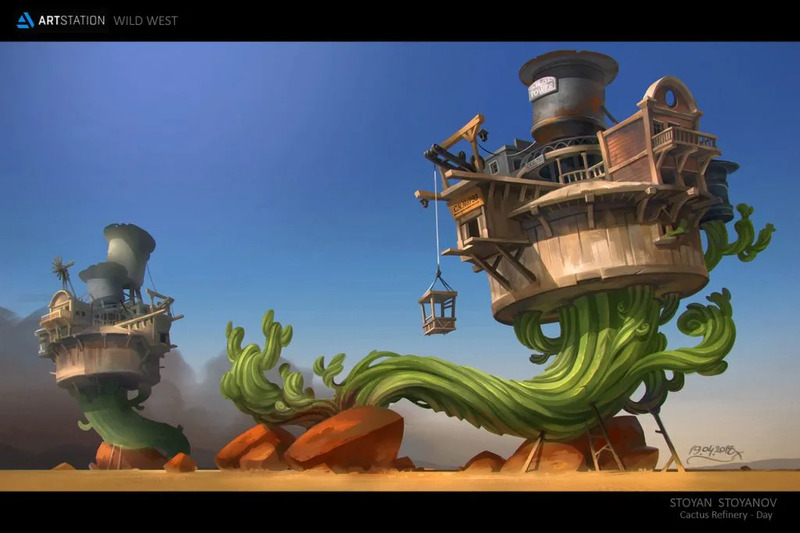 Browse all Environment Design entries of the Wild West Challenge.